I read this article and found it very interesting, thought it might be something for you. The article is called How To: Cultivate Self-Compassion and is located at http://modernloss.com/self-compassion/. If you find it hard to treat yourself with the kind of tenderness and understanding that you show others in your life, it’s time to cultivate some “self-compassion.” So says Dr. Katherine Shear, the director of Columbia University’s Center for Complicated Grief. In an interview with Modern Loss’ Gabrielle Birkner, Shear explains how self-compassion benefits the grief-stricken, what it takes to learn and teach it, and how it differs from self-pity. Compassion is defined as the feeling of wanting to help someone who is hurting or suffering or has had to confront an untoward experience. Compassion means having a sympathetic awareness of that person’s pain along with a desire to ease the suffering. Self-compassion means being aware of one’s own suffering, accepting it, having a sympathetic attitude toward our own pain, and at the same time not getting so caught up in the pain that it takes over our entire life. Do people tend to find it easier to show compassion for others than for themselves? If so, why is that? Yes. This is especially true of women. Women generally are much better at taking care of others than we are at taking care of ourselves. Some of the reasons for this are that people worry that it is selfish to prioritize their own needs. Also, when we feel strong emotions, it can be difficult to remember that there are other things in the world. A person who feels another’s suffering strongly is likely to want to help that person. When we are suffering ourselves, we just want the suffering to go away. How is self-compassion different from self-pity? Self-compassion … is a way of being kind to oneself and accepting the reality that suffering is part of what makes us human. Self-compassion connects us with others rather than setting us apart. Through this connection we can accept pain without pitying ourselves for having it. What are the benefits of self-compassion for those suffering the loss of a loved one? 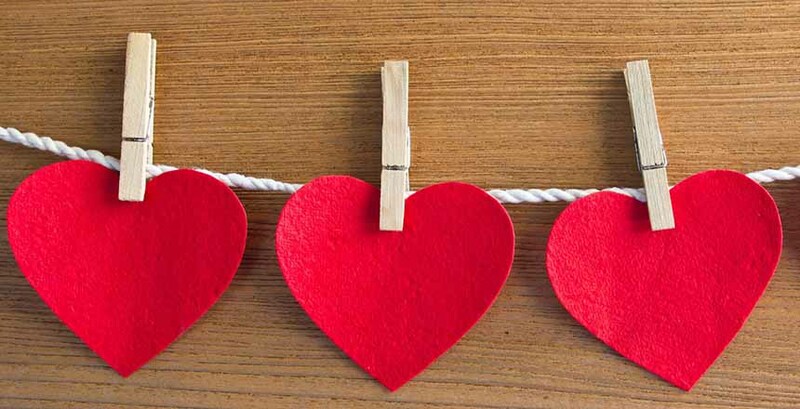 Self-compassion allows us to accept grief as the form love takes when someone we love dies, rather than trying to “get over” the grief, push it away or put on a mask. Self-compassion also reminds us to do what we can to ease our own suffering. Losing a loved one almost always makes us feel alone and disconnected from the world. Self-compassion helps us remember that we are not alone. Mindful acceptance of our own pain also means maintaining some awareness that the loss and the pain are not the only things in our own life or the only thing that matters in the world, even when it feels like it is all that matters. How can someone learn self-compassion? The good news is that you can learn self-compassion. You can teach yourself or you can work with a therapist. Either way, the first and most important step in is to know what it is and to make a commitment to practicing it. There is information about self-compassion on the Internet. (See here, for example.) Doing mindfulness meditation can be helpful. Finding a friend who can coach you can be helpful. If a person is struggling to understand or implement self-compassion, they can seek out a knowledgeable therapist. Mindfulness meditation is a self-observing state of mind that has been adopted from Buddhist practice. Basically it entails paying attention to one’s own thoughts, emotions and physical sensations in a non-judgmental way. Mindfulness means noticing and describing what we are thinking and feeling without trying to change it and without getting sidetracked into a cascade of thinking about the situation that triggered the thoughts or feelings. Here is an example: Suppose a friend has done something that hurt my feelings and I am feeling sad and angry with her. If I am practicing mindfulness, I would simply observe what I am thinking and feeling, “I am feeling hurt, sad and angry. I feel like crying. I feel like I want to hurt her back. I am thinking she has betrayed me.” This is very different from getting caught up in the emotions, which might look something like this, “I can’t believe she did this. She is not the person I thought she was. I can never trust her again. Maybe I don’t know who I can trust. Maybe it’s me. Maybe I am over-reacting or maybe I did something to her that was hurtful. Either way, I am not a good judge of people. I better be careful about confiding in anyone.” You can see that being mindful I am describing the same thoughts and feelings but I am staying in the moment and not making any judgments. In the second way of thinking, I am getting caught up in the emotions and making a lot of judgments — about my friend and myself. I am letting my strong emotional reaction take over. I am thinking it has implications for the past and allowing it to invade the future. Of course we do need to make judgments in our lives. But we are usually better off making those judgments after considering a wide range of evidence and when we are in a relatively calm state of mind. And how can someone be a good coach to a friend in need of self-compassion? You can coach someone in need of self-compassion by being aware of what self-compassion is and by being compassionate to them. Sometimes it is helpful to and ask your friend to consider what they would say to you if the situation were reversed. There is no script for this, but maybe I can give you an example. Lets use the same example as above. Your friend is feeling betrayed by another friend. You can see she is getting caught up in judgmental thoughts about herself and her other friend and thinking she can’t trust anyone. You want to help her feel less alone and less judgmental, especially of herself. You also want to gently remind her not to get too caught up in the hurt feelings. You might validate your friend’s feelings in a mindful way. This could mean simply observing that you would probably feel and think the same way in this situation. You might acknowledge that it is really hard when you feel betrayed by someone you trust. You might make a comment that helps shift your friend’s thinking to gently remind her that this betrayal is not all there is to the friendship with this person and/or this friend is not the only person she has confided in. Mostly, you need to listen, not try to fix the situation or make the feelings go away, and attend to being in a mindful, compassionate place yourself. Anything else you want to add on the topic? Sometimes bereaved people expect themselves to “get over it and move on” or they think other people feel this way or other people really tell them to do this. Any of these reactions undermines the natural healing process and can lead to complicated grief. Practicing self-compassion after a loss means treating yourself kindly, remembering that suffering is universal and keeping some perspective on your emotions – accepting them but not letting them take over everything.